Ask any bodybuilder how to get muscle mass fast and he’ll ask you back: “Have you heard of protein powders?” And yes, they can really help increase your muscle mass. For those who got into fitness some time ago and are thinking of getting a bit more serious, the first piece of advice anyone gives them is to get protein powder. But since there are so many types of protein powder out there I thought I’d make a short list of the most common types, and how they can help you. Animal source proteins include milk protein derivatives, such as casein and whey, goat’s milk and egg white protein. Vegetable source proteins include soy, rice, pea, and hemp proteins. 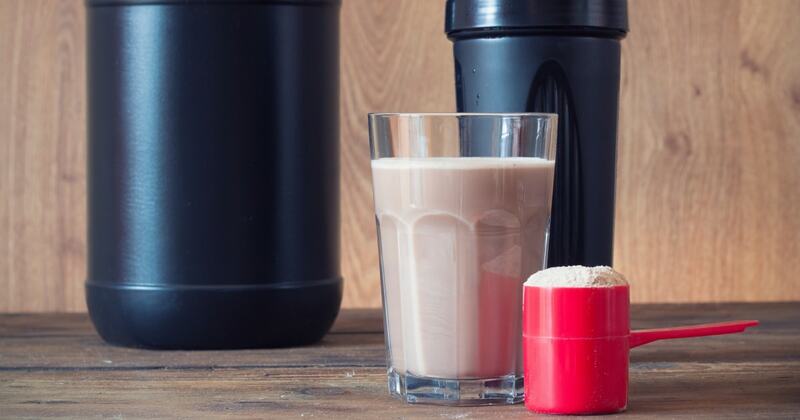 This type of protein powder is derived from milk, and it wins the popularity contest. It’s the most widely used type of protein powder thanks to its taste (or lack of taste, at least in the unsweetened version), quality and low cost. Whey concentrate – it has a low lactose level and it is the most commonly bought type of whey protein powder. Whey isolate – it’s virtually fat-free (perfect for those trying the keto diet), and it also has low lactose levels but compared to whey concentrate it has a much better taste. Win-win! Most of the protein in milk (about 80%) is casein, so it’s not uncommon for the term “milk protein” to be used instead of “casein protein” or vice versa. But since both casein and whey come from milk, what’s the big difference? The main difference between these two types of protein powders is the fact that whey is absorbed very quickly, and casein is absorbed slowly. Long story short, that means whey should be taken right before, during or after your workout for maximum effects, whereas casein can be taken along the day. Egg white is very low in carbs and fat, just as milk, but it’s lost some of its previous popularity due to the fact that milk protein (both whey and casein) usually have a better taste and a significantly lower cost. Nevertheless, don’t understand that egg white protein is of no use. There are many bodybuilders who prefer this type of protein powder because it is lactose-free. So it’s an ideal source of protein for those who want to avoid dairy products. Some of the most popular types of protein powders amongst those who prefer a vegan alternative are soy protein, pea protein, and rice protein. Apart from this, soy and hemp have a lot of protein, but also 8 essential amino acids, which other vegetable proteins lack. The advantage that vegetable proteins have to whey, casein and egg white is the fact that many of these plants hold extra benefits. For instance, soy contains isoflavones which are a strong antioxidant, thus helping with heart health benefits and much, much more. What types of protein powder do you usually use, and what made you choose that type instead of others? Share your thoughts in the comments below.